The simplicity of that announcement was in stark contrast to the significant change it brought to my life. For 15 years I had lived with the constant anticipation of seeing Elvis’s next movie or hearing his next record. That all came to a sudden end that day; Elvis would never record or perform again. The finality of it fairly stunned me. There are so many younger fans these days who'll never know the joy of sitting in a movie theater and watching a new Elvis movie that had just come out. They’ll never know the excitement of hearing Elvis’s latest single for the first time on the radio and then running down to the record store to buy the record. They’ll never hear the incredible news that Elvis is actually coming to town and feel the excitement in the crowd while waiting in line to buy a ticket—“one please, as close to the stage as possible!” And then came the absolute thrill of seeing him perform on stage. It was a dream come true for a fan like me, who came to Elvis during the movie years and never imagined he would ever get to see Elvis in person. But all the joys that today’s younger fans missed by not knowing Elvis during his lifetime is balanced by the misery they avoided in not having to experience his death. Losing his earthly presence was bad enough for Elvis fans back then, but all the revelations and accusations that surfaced at the time made it even harder to bear. First, almost simultaneous with Elvis’s death came the publication of Elvis: What Happened by three of Elvis’s dismissed and disgruntled bodyguards. In it most fans first learned of Elvis’s prescription drug abuse and his increasingly erratic behavior. It shattered the image we fans had long accepted of Elvis as a model human being and citizen. I knew some Elvis fans who refused to read the book or believe its troublesome accusations. They had accepted the carefully cultivated public image of Elvis for so long that they refused to face the painful truth—Elvis Presley was a human being with the frailties that always accompany that designation. Then there was the seemingly endless speculation in the press about how and why Elvis died. Dr. Nick was vilified as the man who supplied the drugs that “obviously” killed Elvis. In the end, he was absolved of any legal responsibility. Eventually the press and the American public tired of all the recriminations, and Elvis’s memory was left to wander in search of a legacy. • How Have the Years Treated Elvis’s Memory? So, as we again recall the King of Rock ’n’ roll on the 31st anniversary of his death, let’s try honestly to answer the question, “How have the years treated Elvis’s memory?” Fairly well so far, I’d say. Granted, a slew of books have revealed more about the man’s flaws than we ever wanted, or had a right, to know. But thanks to Priscilla’s foresight in opening Graceland to the public, a natural venue has been created for fans to gather every summer to celebrate Elvis’s life. Elvis’s music has continued in the form of remastered original recordings and alternate studio material and unheard live recordings issued on the RCA and Follow That Dream collectors’ labels. Amazingly, a whole new generation of Elvis fans, those very young or not even born when Elvis died, has arisen. From fan base, merchandising, and musical perspectives, Elvis Presley seems alive and well 31 years after his death. We shouldn’t take it for granted, however, that it will always be so. The passage of three decades has taken away many of those figures who actually worked with Elvis and aged those who remain with us. 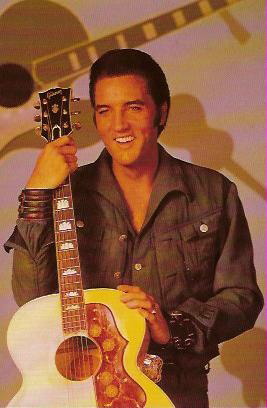 Even the pool of first generation fans, many of whom have passed on their love of Elvis to their children, is dwindling. If the fans are to continue coming to Memphis each summer, than new connections must be made with the new fans to replace those that time has and will continue to take away.